They not only look awesome, but they may actually save a lot of power. 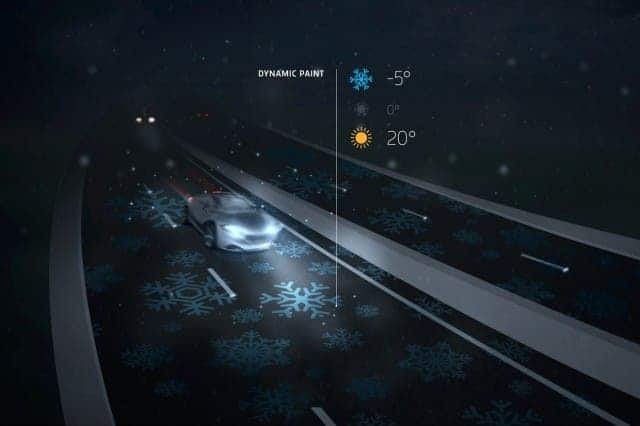 Light-absorbing glow-in-the-dark road markings have replaced streetlights on a 500m (0.3 mile) stretch of a highway in the Netherlands; this is just a test, and if everything goes alright, then authorities will implement them over longer and longer sections. The design was proposed back in 2012, and it went through all the paperwork and approvals to finally hit the road now, mid 2014 – and the Dutch are thrilled. One Netherlands news report said, “It looks like you are driving through a fairytale,” which pretty much sums up this extraordinary project. To me, this is a brilliant example of blending together beauty and efficiency – the glow in the dark strips can save a lot of electricity, compared to traditional road lighting. Roosegarde studio, the developers of this technology describe themselves as a social design lab for interactive Art, Fashion and Architecture. They’ve developed several interesting and sustainable projects aside for Smart Highways, such as a sustainable dance floor, sensor valley and interactive landscapes. They also developed a smog attracting electrostatic field – basically, a smog vacuum, which they hope to implement in Beijing; however, bureaucracy works against them, especially in China, but also in the Netherlands. His vision goes even further, as he imagined weather markings—snowdrops, for instance, appearing when the temperature goes below a certain level. 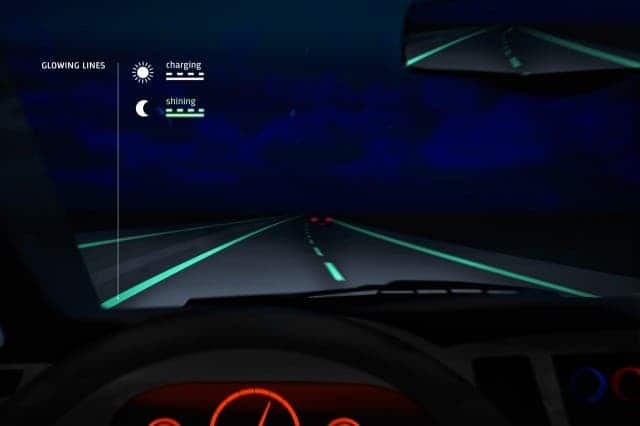 For now however, the strip of highway only includes glow-in-the-dark road markings, created using a photo-luminescent powder integrated into the road paint, developed in conjunction with road construction company Heijmans. As of now, they have not signed any additional contracts, probably because road developers are waiting to see how the paint does in terms of wear and tear, but I expect them to be expanding quickly, gaining more popularity compared to the energy guzzling street illumination. The paint lasts for 8 hours after it has been exposed to the sun for a day, even in cloudy days. If you’re in Netherlands and happen to drive by the section of N329 near Oss, send your photos in – we’ll publish them for sure.